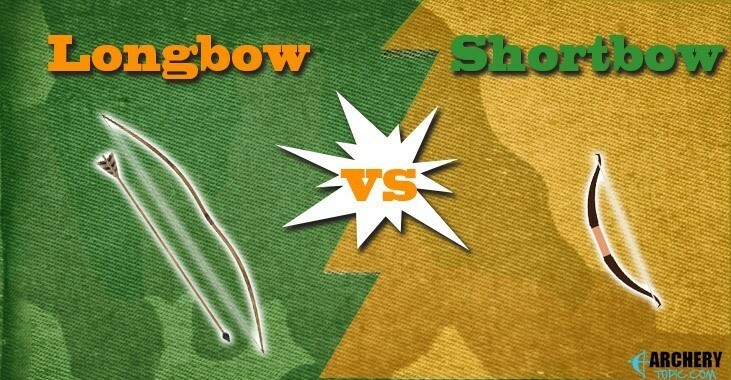 >> Longbow vs Shortbow – What’s the Difference? 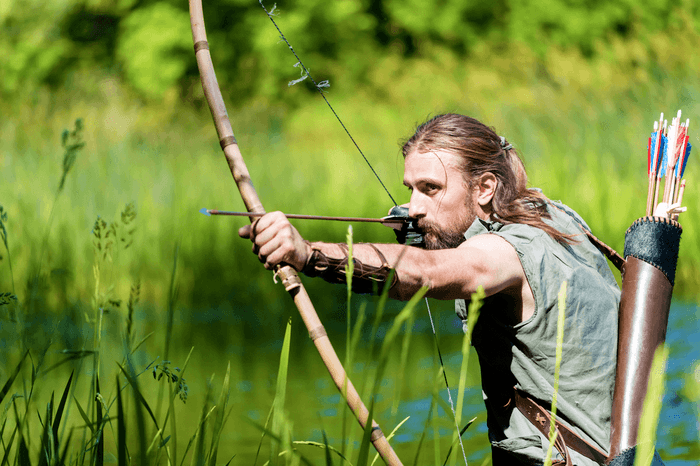 Longbow vs Shortbow – What’s the Difference? A bow, similar to any other gadget, significantly affects your overall performance and archery experience. Archery is the art of using different types of bows to shoot arrows. Thus, understanding the key benefits and drawbacks of each model is of prime necessity. Your choice of a bow is mostly determined by its allocated use. Just as its name states, a longbow is a type of bow that is relatively long- it’s almost roughly the same length as the archer. This type of bow has been around for centuries with past huntsmen using it to hunt for food, protect their homes from wild animals, etc. Longbows have a “D” shape curve that allow more energy to be stored in the wooded part of the bow. This curve is what contributes to the longbow’s overall performance. A longbow is made from a one-piece wood, making it more durable. Crafted from a single wood, a bowman can produce a longbow in shorter periods of time. Aside from its artistic craftsmanship, this type of bow provides the user with incredible benefits that are simply unmatchable. The length plays a very crucial part of how and when the bow is used. The draw length refers to the distance an arrow can be pulled back towards the archer before shooting it. A longbow offers ample space for you to pull your dart back – you will be able to pull the arrow back to your cheekbone. How far you can pull your string back dramatically determines the force and speed of your arrow. This draw length allows the wood to retain more energy, thus shooting the shaft farther out and at higher speeds. If you have an eye for precision, you will be able to hit your ﻿targe﻿﻿ts better as more energy equates to force and accuracy. Since your longbow is more massive, it’s safe to deduce that you can accommodate heavier arrows with ease. Archers understand the need to use heavier arrows as stronger winds are less likely to interfere with your exactitude. This is not to say that you cannot also use lighter shafts. A longbow will seamlessly accommodate arrows of different weights. Well, since the bow is quite large, you will not be able to use it in tight space. More arm surface area is required to execute a perfect﻿ shot. However, if the basis of your purchase is solely for horseback use. 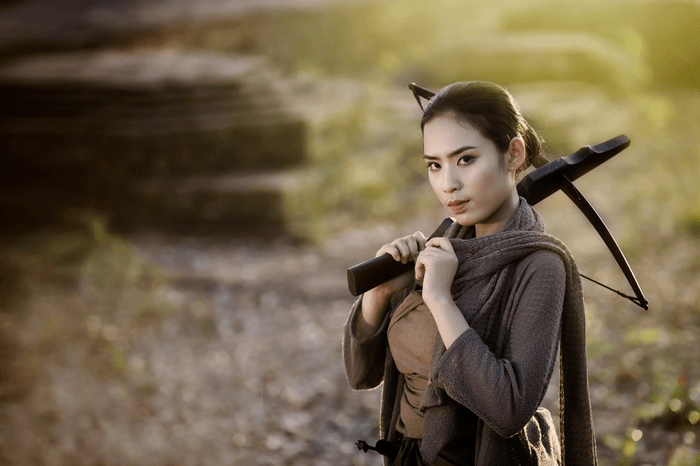 Similar to a longbow, ﻿﻿a shortbow is technically a smaller version of longbows. These bows are typically shorter than 5 feet with the majority of them falling under the 3 feet long range. They work analogously to a longbow, but they do offer different benefits. A shortbow has a smaller draw length allowing an archer to draw to a shorter distance from somewhere between your elbow and your shoulder. Some examples of short bow include crossbows, airbows, etc. Since these models are quite compact, they offer speedier shooting experience. Granted the wood is not able to retain as much energy, you will still be able to release faster as you won’t need as much power to draw the string back. Thanks to its compact design, shortbows can be used in tighter spaces. Since less elbow room is required, you will have the freedom to use your gadget in confined areas with ease. These models tend to be more portable making them ideal for even for archers who participate in horseback archery shooting. They are also great for outdoor activities where you might encounter branches or trees. Shortbows are very handy for firing while hiding or kneeling. 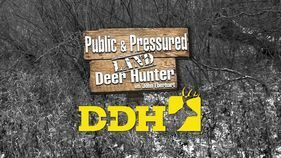 If you enjoy hunting in the woods, then this is exactly what you need. Thanks to the simple and light design, these units are more pocket-friendly. Compared to longbows, you are more likely to purchase a shortbow on lesser coins. Since draw length is significantly shorter, you will not be able to fire your darts over long distances. Also, you will be forced to apply more force even when firing over short distances. The draw length restraint means that your arrows will not be able to fly far or as fast as the energy used to shoot them. Depending on your specific needs, a longbow and a shortbow both offer tremendous benefits to any user. However, do select your preferred option carefully as this can make or break your archery or hunting experience. As you can see, longbows are ideal for anyone looking for more accurate firing experience. Your arrows will be able to travel longer distances and at higher speeds. Shortbows are a perfect option for people firing in tight spaces, in the woods, or for anyone planning to shoot while on horseback. Hopefully you're more clear of longbow vs. shortbow. Have you ever used a one of them before? What’s your preference and why? We would love to hear from you so do leave us a comment below.